This is a great, simple virgin recipe you can enjoy with your family. It is an especially great way to bring a little taste of the islands to your Christmas and New Year’s Eve. Pour some cranberry juice into two ice cube trays and freeze. 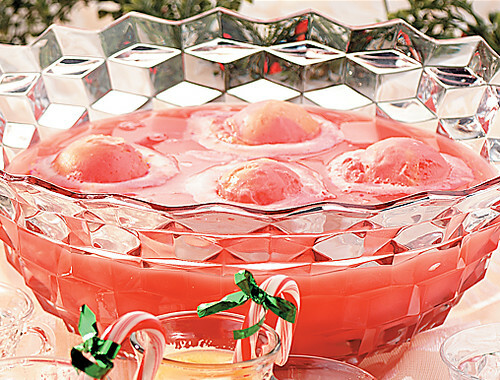 Once ice cubes are done, combine even amounts of orange juice and ginger ale in punch bowl. Add in the cranberry ice cubes and top off with several scoops of sherbet to taste.